How to calculate price of 22 Carat Gold ? As we all know that Price of Gold which is published or displayed at Jewelry Shop or internet is for 24 Carats Gold (having 99.99 % Purity). But 24 Carat Gold cannot be used to make Jewelry. Jewelers use 22 carat or lower than 22 to make jewelry. 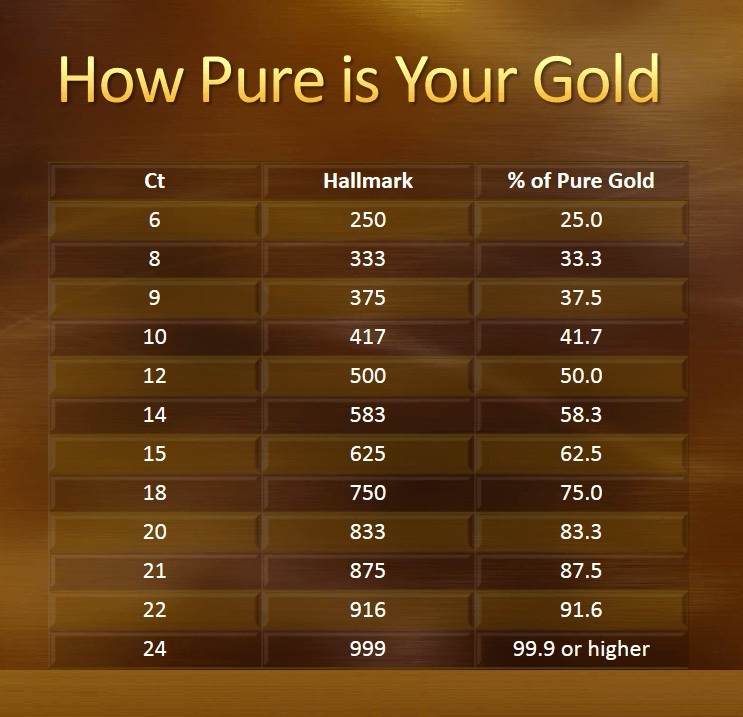 22 Carat Gold is having 91.6 % purity, 20 Carat is 83.33% Purity and 18 Carat has 75 % Purity Gold. So, to calculate the price of 22 carat Gold multiply price of 24 carat Gold with 0.916 and to calculate price of 18 carat Gold, multiply with 0.75. So, If Todays price of 24 carat Gold is Rs. 30,000 per 10 gram. Price of 22 carat Gold will be Rs. 0.916 * 30000 = Rs. 27480 and Price of 18 Carat Gold will be 0.75 * 30000=Rs. 22500 per 10 gram. So, Don’t get fool by the jewelers and pay for the right carat. Most of the people end up paying price of 24 carat gold while we get 22 or lower carat jewelry.